The encounter between security forces and Lashkar-e-Taiba (LeT) terrorists has ended at Hakripora village in Jammu and Kashmir's Pulwama district, but heavy stone pelting by locals on security forces has started. According to the sources, the stone pelting has started after various news channels reported that Abu Dujana, LeT's top commander in Jammu and Kashmir, has been killed in the encounter. However, no official confirmation has been received in this regard. When asked about the killing of Dujana, S. P. Vaid, Director General of Police (DGP), Jammu & Kashmir, told ANI that "we are yet to recover the dead bodies, will tell you their identities after that". Earlier on Tuesday morning at 4:30 a.m., a joint cordon and search operations (CASO) was launched by 182 Battalion, 183 Battalion, Central Reserve Police Force (CRPF), 55 Rashtriya Rifles (RR) and Special Operations Group (SOG) in Hakripora village on a specific input about the presence of LeT terrorist in one of the houses. 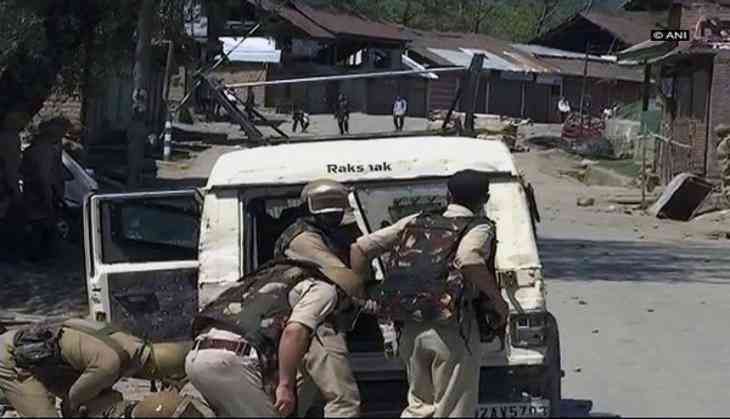 The encounter started after the militants opened fired on security forces.